Peter Dinklage hasn't let his Game of Thrones schedule stop him from taking gigs elsewhere. Last year he starred in Three Billboards Outside Ebbing, Missouri and in a few weeks you'll be able to see him in Reed Morano's excellent post-apocalypse drama I Think We're Alone Now. But with the HBO series winding to a close, Dinklage has decided to take on an adaptation of Rumpelstiltskin soon after. The Sony production will of course be based on the Brothers Grimm fairy tale that, like all of their works, is more screwed up and twisted than kids know. Patrick Ness, author/screenwriter of A Monster Calls and the Chaos Walking trilogy, will co-write the script with Karen Rosenfelt. The German tale follows a young maiden whose boisterous father brags to the king that his daughter can spin straw into gold. The greedy king then locks her away in a tower and demands that she do so or have her head cut off in the morning. Enter the imp Rumpelstiltskin, who arrives and does the deed for her in exchange for her necklace. Over the next couple of nights the process is repeated, the stakes growing more dire each time. 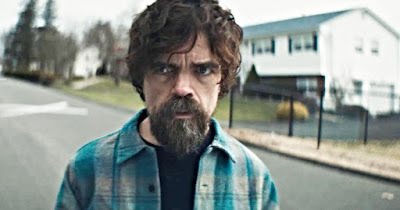 Dinklage will both star in and produce the film, which hardly sounds like family friendly material. No word on a director just yet.